HAND015 Qualiy & Elegant All White Bouquet [HAND015] - $100.00 : Hanamo Florist Online Store, Vancouver, BC, Canada, Quality arrangements using a plethora of the freshest flowers. 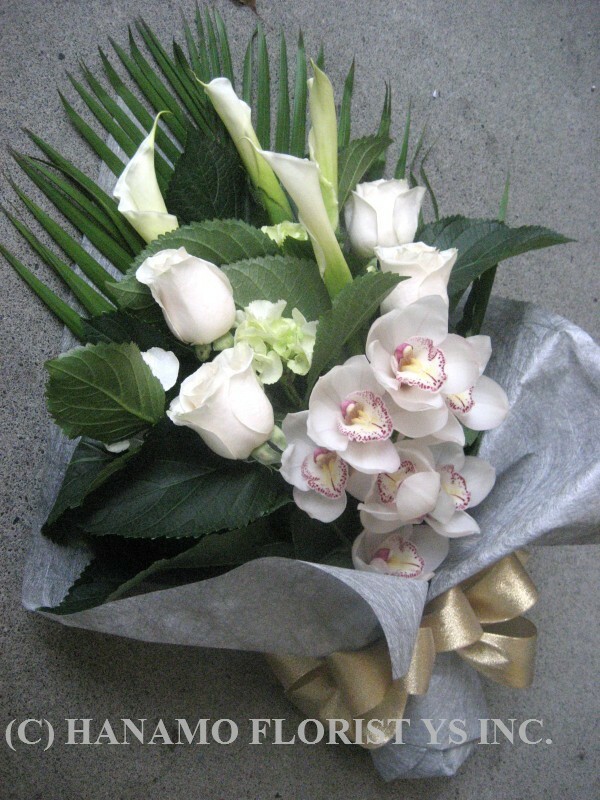 As seen on the sample picture, cymbidium orchids have naturally slight pink or red center part. 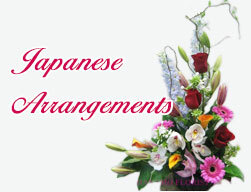 Outside of bouquet may be wrapped in cellophane to avoid damage. Approx. 30 inches long.